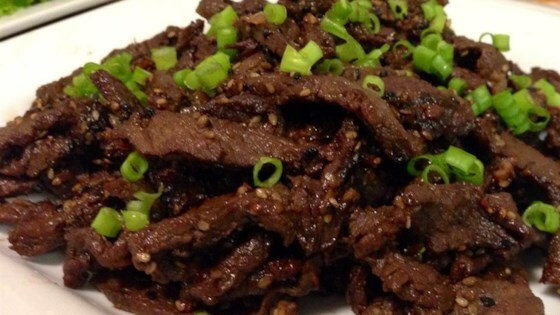 "Just like my Korean mom makes it! It's delicious! Even better if rolled up in red leaf lettuce with rice and hot pepper paste. If you want to spice it up just add red pepper powder to your marinade." You can purchase the hot pepper paste (gochujang) and red pepper powder at your local Asian market or online. This is very authentic!! Just like my Korean mother made me!